Location, portrait, and event shooters will rejoice at the ease and portability of this self-contained background system. 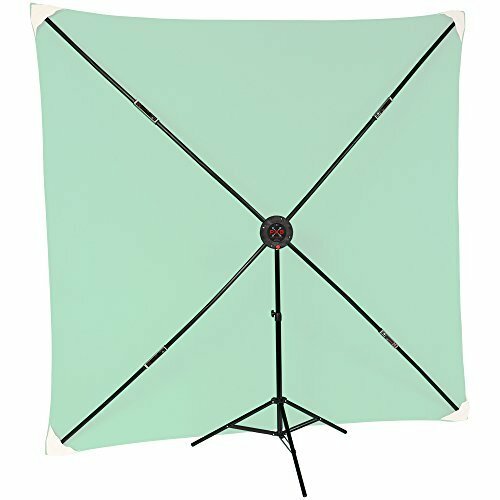 The PXB Portable X-Frame Background System consists of a unique X-frame and a convenient adjustable stand. It assembles in minutes, is completely self-supporting, stows away neatly in its own 8 x 8 x 36" (20 x 20 x 92cm) case and weighs just 12.8 lbs. (5.8kg). The PXB System contains the X-frame, stand, and carrying case. A variety of different colored muslins are SOLD SEPARATELY. If you have any questions about this product by Studio Assets, contact us by completing and submitting the form below. If you are looking for a specif part number, please include it with your message.